The card at least clarifies that the image has not degraded over time, but that it was poorly developed or printed in the first place, by the photographer. Modern software has rescued it to some degree, but the image typifies the fact that so many good photos were compromised in their development, by later accident or by the effects of time (Time may be a great healer but She’s a lousy beautician). Despite the risk of choosing sentimental images, children are favoured subjects for the photo editor, especially those rare, candid shots not taken in a studio. 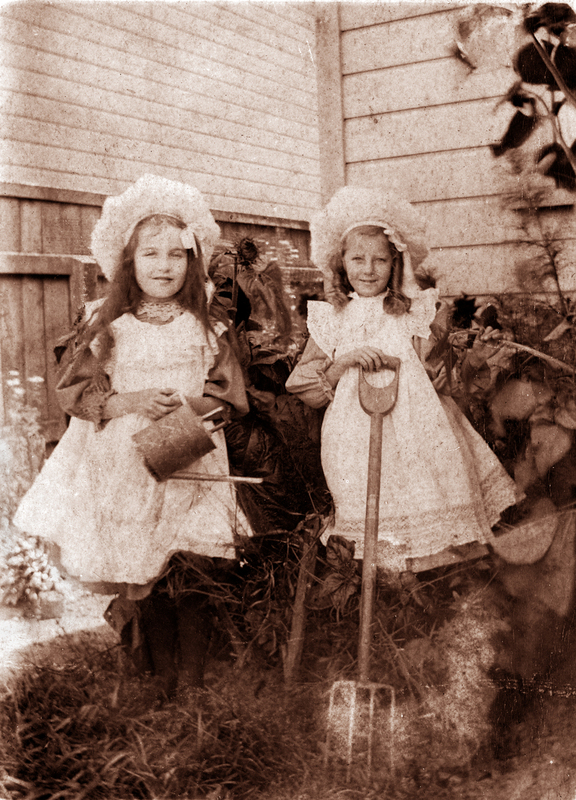 As a greeting card publisher in the 1980s I put out four vintage images of children, from the Nelson Provincial Museum’s extensive collection. Only one was taken away from a studio, reinforcing my point above – and after a long rummage, it was all I could find that met our standards. This picture does not feature in my Vintage New Zealand 2019 calendar because it has only just surfaced, after being mis-filed for 25 years in my personal papers. My bad.